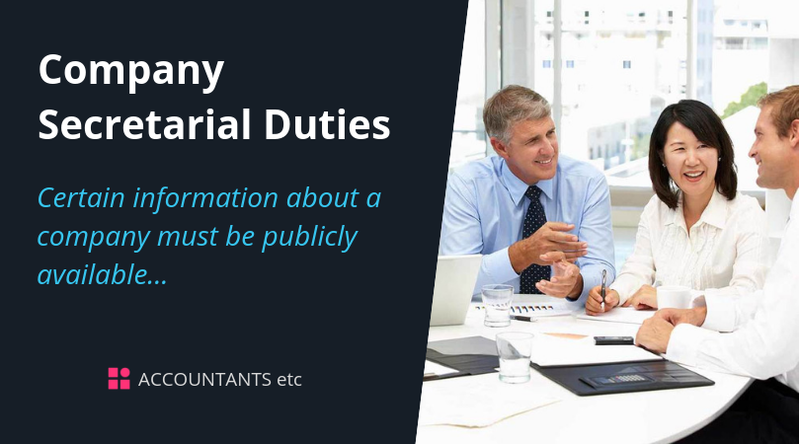 Certain information about a company must be publicly available including; annual accounts, registered office address, details of directors, company secretary (if there is one) and members. Since April 2008, unless there is an express requirement in the company’s articles of association, the Companies Act 2006 no longer requires private limited companies (‘limited’ or ‘ltd’) to appoint a company secretary. Even if the articles do require it, it is relatively straightforward for the directors of a company to amend the provision, subject to shareholder agreement. Once each year Companies House will send each company a reminder to file their ‘confirmation statement’which replaces the old Annual Return, and can be filed online or by downloading and completing on paper (for a higher fee). The company must ‘check and confirm’ that the information held at a given due date is accurate. The statement must be filed by the date specified on the reminder, ie within 14 days, and if it is returned late or not returned at all, the company, director(s) and secretary (if appointed) may be prosecuted. This confirmation statement replaced the annual return from June 2016. The rules relating to the register of Persons with Significant Control (PSC) have already changed since this new register was introduced. Initially, companies could update the public version of their PSC register annually as part of their confirmation statement, but now each change has to be updated on the register within 14 days and notified to Companies House within a further 14 days.